ProSearch has changed name to anySearch! 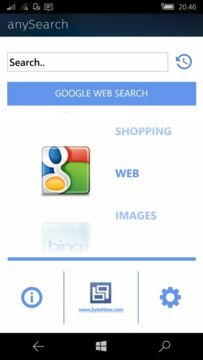 Beautiful, superfast search app, with all the biggest sites, and many categories for each site. When you search Your browser will open to show the results. It's the fastest way to find what you are looking for. For example, find and start a youtube video in under 20 sec!! 13 searches with up to 7 categories for each search. In total: 55 different search options. And you can add as many as you want! 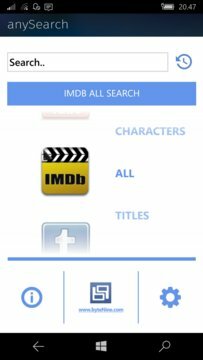 You can easily go back and forth between searches and the app, to get results fro different pages on what ou are searching for. You will find yourself using your phone instead of your computer!